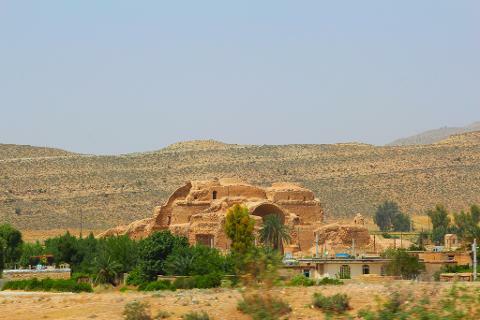 Close your eyes and imagine yourself in one of the most ancient parts of the earth, in Fars province. As we all know, Shiraz is the most famous and important city in Fars; but while visiting Fars, you can’t ignore the picturesque city nearby, named Firuzabad. If you are looking forward to a neighboring city to Shiraz, in which you enjoy more particular attractions, you should know that Firuzabad is just a two-hour drive away from Shiraz. Are you interested in knowing which monuments of this city you are going to visit? Here is a whole list of them. One of them will be the Palace of Ardashir. This distinguished palace belongs to Sassanian Empire, 224 AD, which King Ardashir built it with an Iwan (balcony), a residential part and a public hall close to a narrow spring. It's considered as the source to provide the water supplies of the building. The main plan of the palace is about 115 meters by 5 meters. Not far from the Palace of Ardashir, another glorious trace of Sassanian Empire is shown. 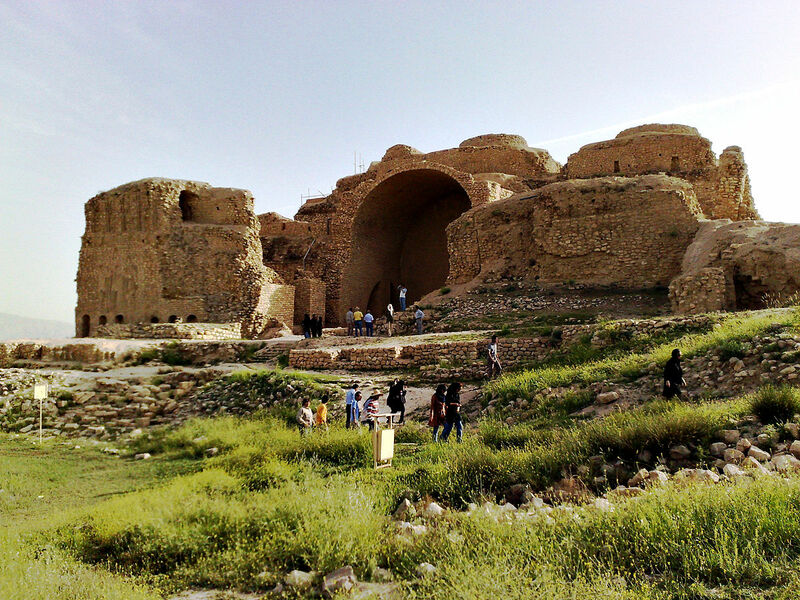 Qal'eh Dokhtar, known as Ghale Dokhtar or Dezh Dokhtar, is believed to be the very first residential and governmental center of Sassanian Empire, built by king Ardashir. Dezh Dokhtar or the “Maiden Castle” takes its name from a very old tale saying this building had been attributed to Anahita, the goddess of water. Back to 209 AD Sassanian kings needed a fortified tower and fortress to confront Parthian remainders, that's why Qal’eh Dokhtar was built using stone and plaster. After this amazing day trip, you will have observed two important attractions of Firuzabad by the end of the day and become more familiar with Persian history and architecture of old times.